I walk in honor of my Dad who was diagnosed with Alzheimer’s disease about 5 years ago, in support of my Mom who is daily struggling with caring for her husband of 62 years, and in memory of my Granny who died with Alzheimer’s Disease 15 years ago. I walk, too, in cautious hope that effective treatments may be found very soon, recognizing that the likelihood of Alzheimer’s striking me is not small, and in optimistic expectation that a cure will be discovered before my two sons reach an age of risk. 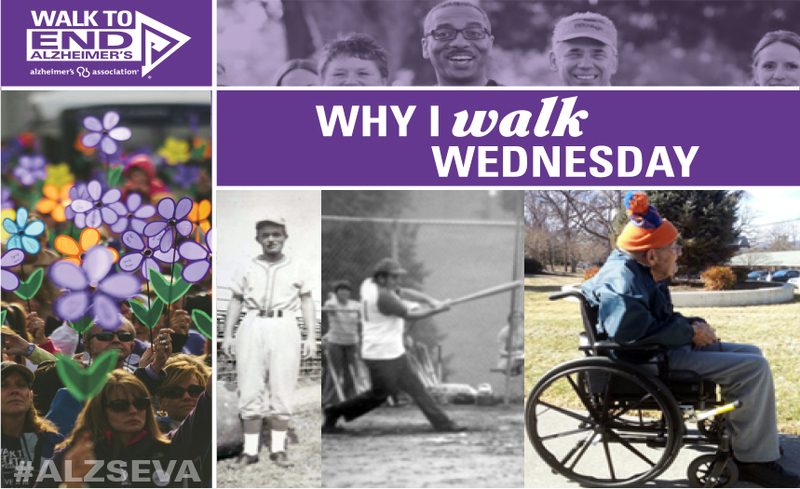 Speaking practically, I also walk because current funding for research targeting Alzheimer’s and other dementias is woefully inadequate, and the public’s knowledge about brain diseases lags far behind knowledge about most other serious diseases. Walking, and soliciting supporters for walking, helps to increase funding and to raise public awareness. Everyone, everywhere should long for the day when we are able to #ENDALZ. Walking helps bring that day a little closer to this day.